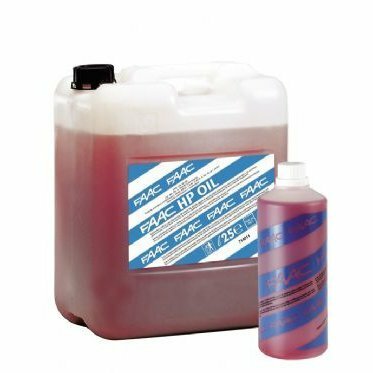 FAAC HP OIL Hydraulic Fluid. For the Complete FAAC Hydraulic Automatic Barrier, Gate and Bollard Range. Available in 1 Litre Bottle or 25 Litre Cans.